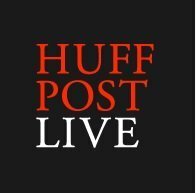 News TV Channel / HuffPost Live is an Internet-based video streaming network run by news website The Huffington Post. The network produces original programming as well as live conversations among users via platforms such as Skype and Google+. Live content is streamed for 8 hours each weekday, from 10 A.M. to 6 P.M. EST. Instead of the usual TV news format of individual "shows", the network is divided into shorter segments covering an individual story or topic from the parent website as well as other segments pertaining to a specific part of the site itself (politics, money, front page, etc.) It launched on August 13, 2012.